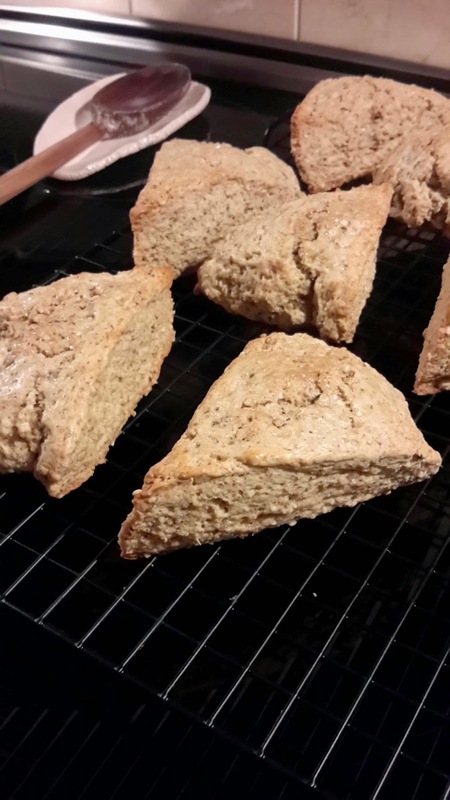 Well, it's not quite Chinese New Year yet but I thought I would go ahead and make these Chinese five spice sesame scones from the Baked Occasions cookbook. In all honesty, the scones were a bit disappointing. First off, the Chinese 5 spice powder was a bit hard to come by and when I finally found it I realized that it contained a bunch of spices that I already had and I probably could have made the blend myself. Furthermore, after I had finished making the scones and ate one, I realized that they really weren't all that awesome and I have made all kinds of awesome Scones in my day. For such an awesome cook book I would have expected the scones to be tastier, but alas, they were quite plain. It was a nice break to have something not so sugary though! 6 done. 64 To go!